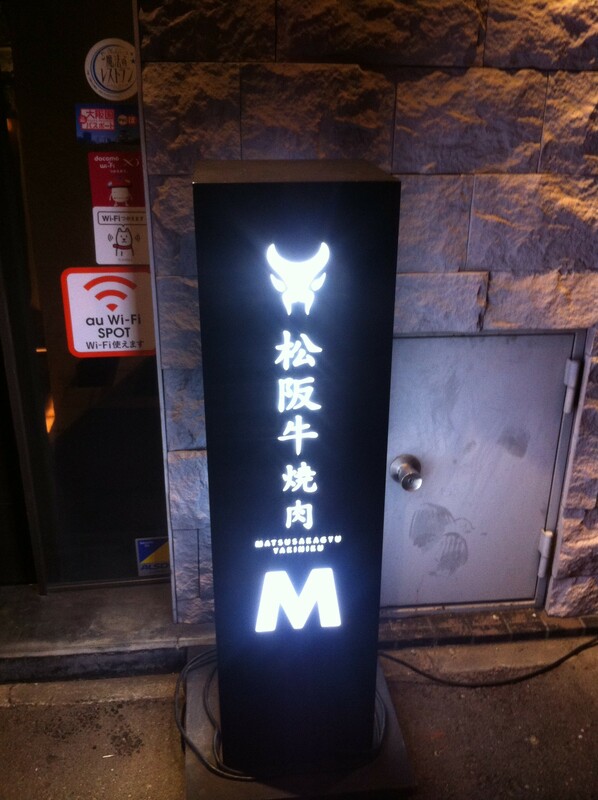 On our last night in Japan, we went to Matsuskagyu in Osaka. As recommended by the New York Times “36 Hours in Osaka” travel guide, this spot is ‘where the beef is’. After two weeks of meals made up of predominantly fish, we were excited to try a meat-centric meal for a change. We headed to the Fukushima location where up a flight of stairs, and through a narrow walkway we were seated in a semi-private booth with an inlaid tabletop grill. All seatings up there have half curtains that lend a sort of privacy to the diners sitting inside so that they can grill and drink more intimately. 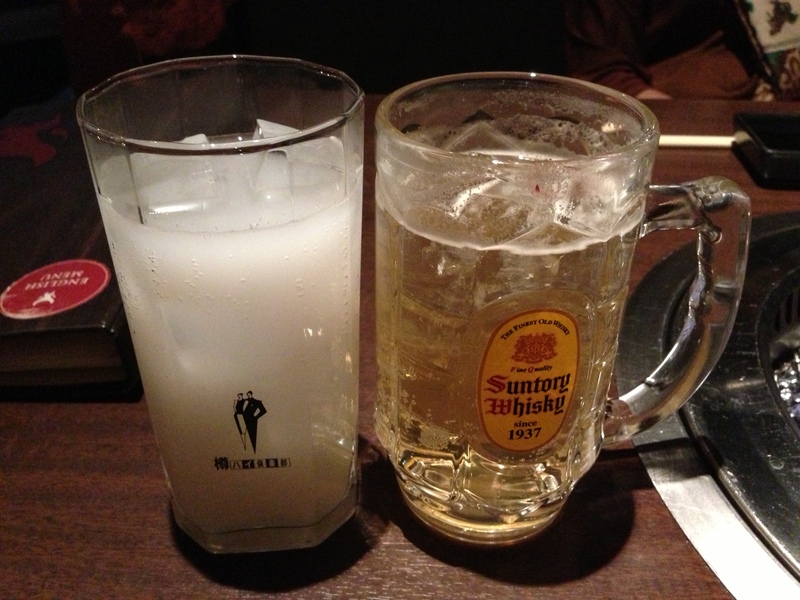 We ordered the M highball and a calpico chuhai to start. I’m a big fan of the chuhai shochu cocktails popularized in Japan. They just have this particular taste that’s very clear, light and slightly earthy. When mixed with fruit juices or in this case, calpico – a sweet, milky, vanilla flavoured drink – I think I could drink it all night. The menu here is nicely laid out. 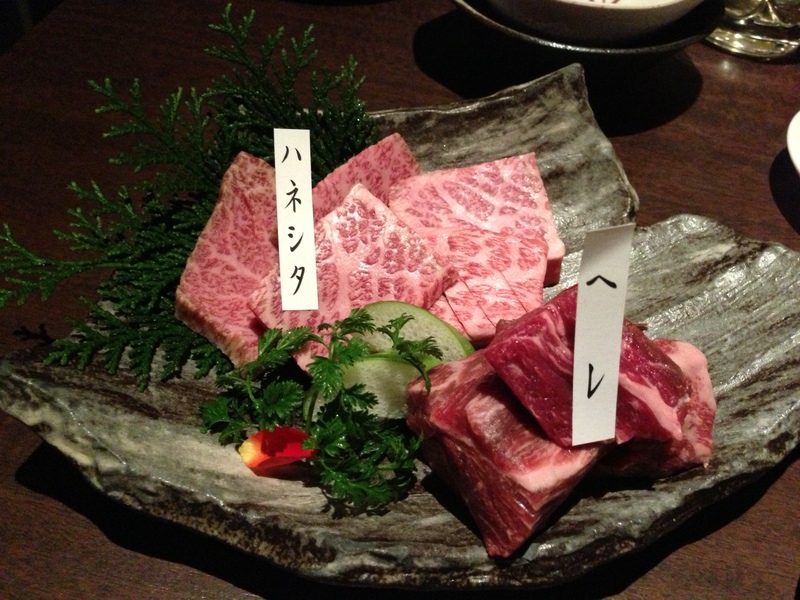 It showcases photographs of a dozen different cuts of Matsusaka beef and a brief explanation of the taste, texture and part of the animal each cut represents. There is a visual scale ranking the cuts from lean to marbled, giving diners a more concrete idea of which parts they might want. We went with a plate of here or tenderloin and haneshita rosu or loin. The amount of meat on the plates was surprisingly less than we had expected with about five pieces each. In any case, we went ahead, rubbed the cube of fat over the hot grill to grease it up and began cooking our meats. It’s actually quite fun – if you go with a bigger group, it serves as an activity that involves everyone – you have to work for your meat! As for the taste – the meat is as good as the menu suggests. Tender, melt-your-mouth meat. Mmmhm. 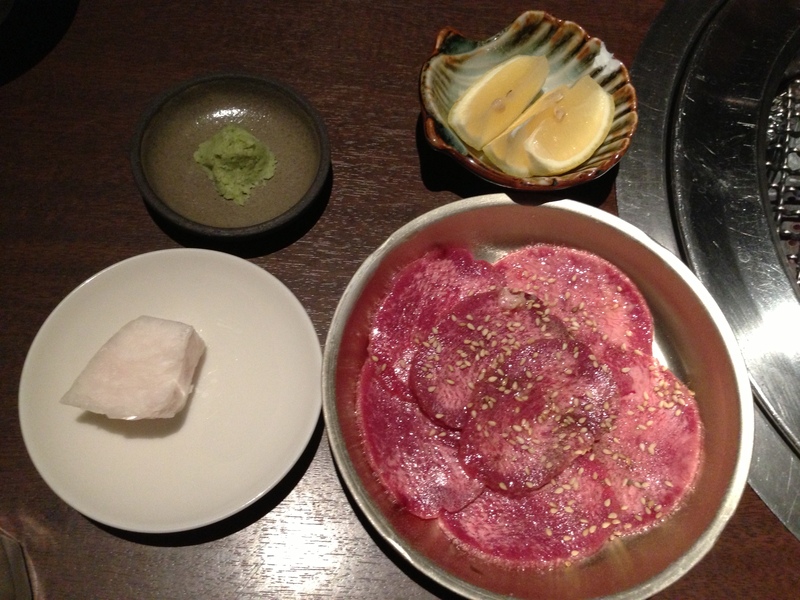 We got a plate of tongue garnished simply with salt – one of my favourites, I think. Tender, not too chewy and dipped in a bit of shoyu, it was pretty perfect. 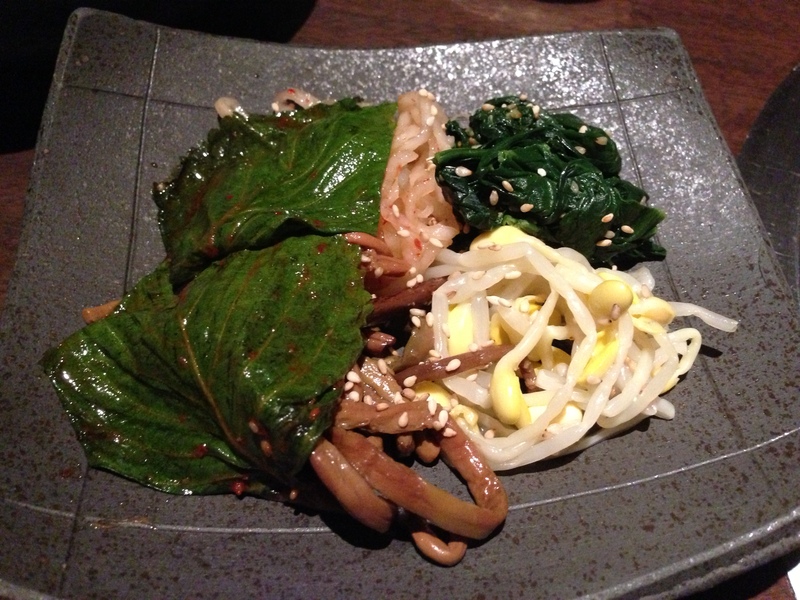 For the veg, we had a bowl of assorted namul, including spinach, fiddleheads, radish and bean sprouts. I liked the mix and thought it was a refreshing contrast to all the heavier meats we were gorging ourselves on. 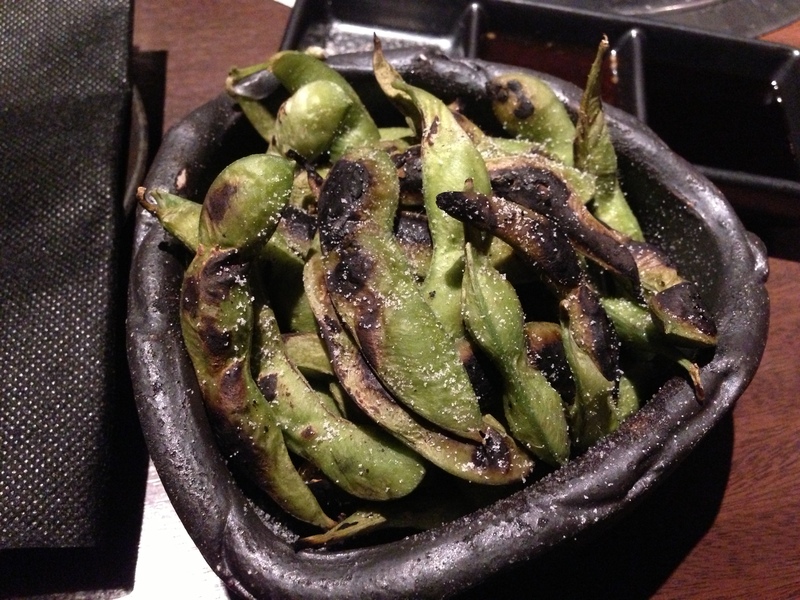 The classic edamame was in order except here, it’s grilled. The method gives the beans a more smoky flavor that’s unique and very different than the traditionally boiled or steamed lot. We also got the Korean inspired spicy eggdrop soup that tasted heavily of garlic and red pepper. It wasn’t actually very spicy at all and leaned on the saltier side. This one was a miss. 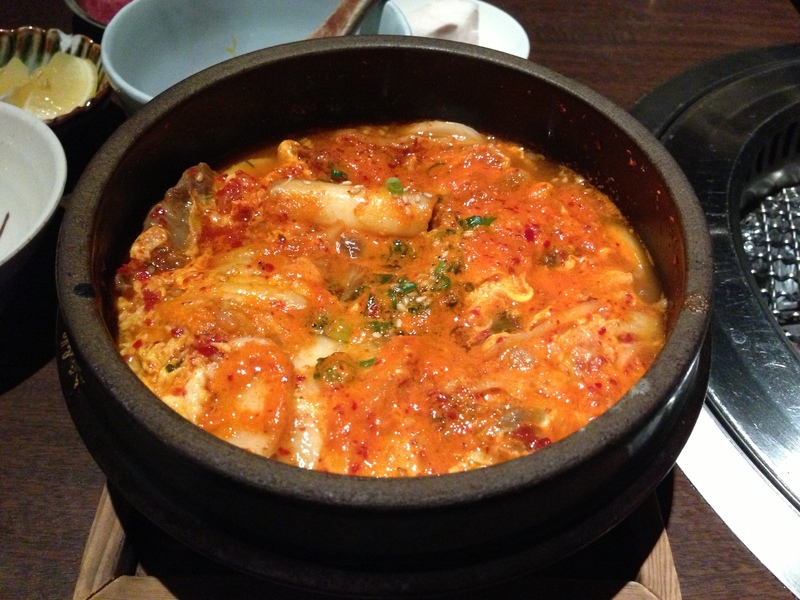 After all of this, still a little hungry, we got two bowls of garlic rice, presented in a hot stone pot. 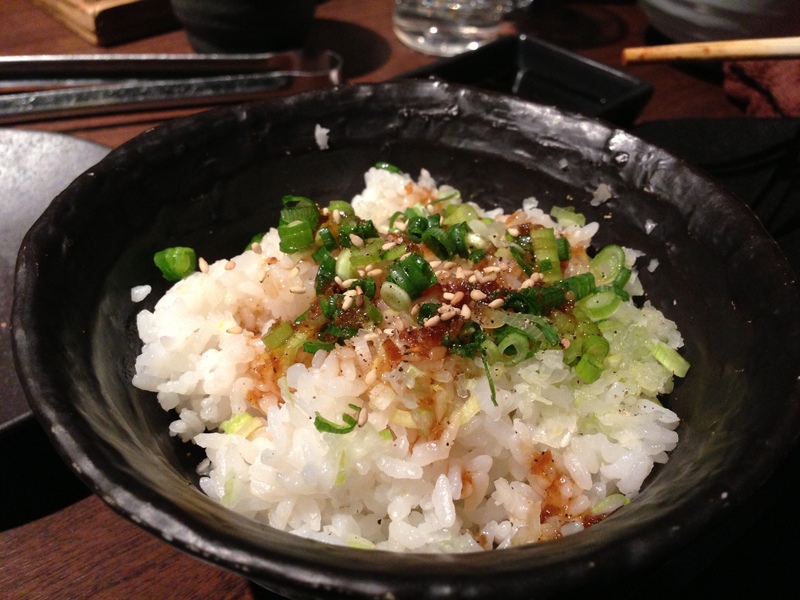 We appreciated the seasoning and texture of the rice and thought it was cooked well. 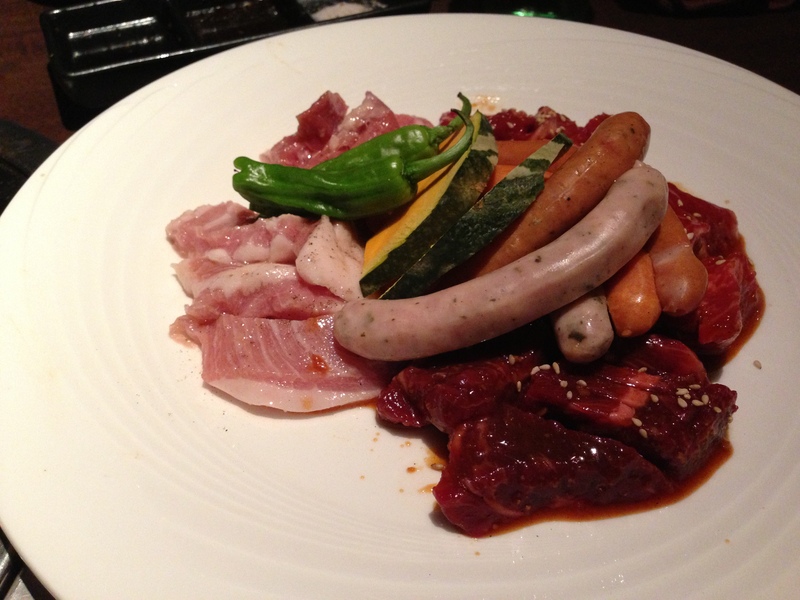 We went for the mixed BBQ plate which included a variety of meats from the Matsusaka selection. After this, I can say we were all completely full. It took a bit more ordering than expected but we finished up relatively content. 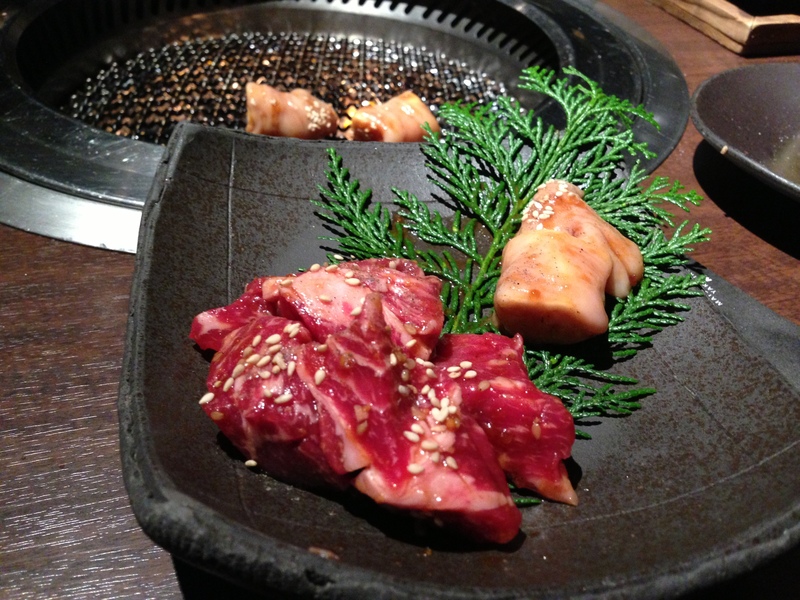 Overall, Matsusakagyu serves great cuts of meat for reasonable prices. There are several locations across the city so they’re reasonably accessible. I don’t think it’s a ‘must-try’ in Osaka if you’re only there for a day or two but if you’re there any longer, it’s worth a visit. 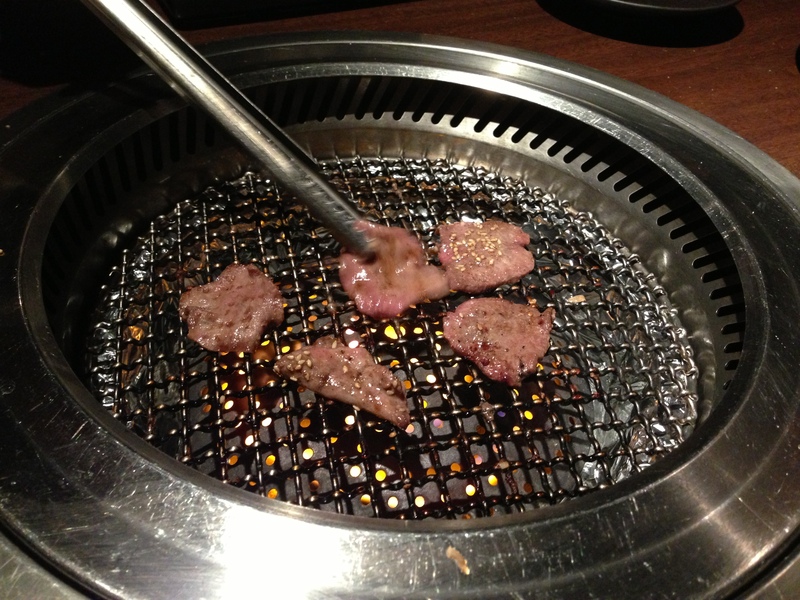 Tags: Beef, Dinner, Grill, Intestine, Japan, Matsusaka, Meat, Osaka, Tongue.